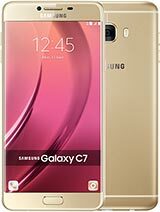 Repair solutions for Samsung Galaxy C7 SM-C7000 if boot loop, Hardbrick, Lost recovery, or can’t boot to home screen and we know that this is not a problem with the machine or Hardware, but only software. This usually occurs because installing false firmware, remove some parts needed by the android system or overclocking CPU. Or do you feel disturbed by virus attacks such as malware ? Well, this is the solution.